We now have 2 employees who have passed all the tests and are ANSI/ALI Hoist Certified Inspectors. 1. To make sure the lift is functioning safely within its designed limits. 2. To preserve and protect the longevity of the equipment. 3. 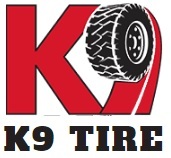 To maximize the service lift of the equipment and minimize the possiblity of shop downtime. WHY SHOULD YOU HIRE AN ALI CERTIFIED LIFT INSPECTOR? 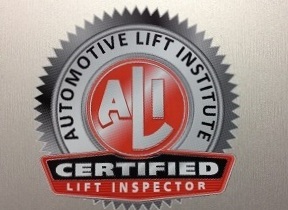 ANSI standards mandate that a qualified lift inspector inspect all vehicle lifts at least annually. Many companies will tell you that their inspectors are qualified to perform these inspections. But the only independent verification of lift inspector qualification in North America is the Automotive Lift Institute (ALI) Lift Inspector Certification Program. Have been independently tested and certified by ALI as qualified to inspect any vehicle lift, regardless of manufacturer, brand, model, type, age or location. Have passed two rigorous exams covering electrical, mechanical, hydraulic and pneumatic principles, as well as basic automotive lift design and use. The exams are administered by an independent testing agency. Have properly completed 12 practical experience inspections using ALI-approved inspection procedures and forms. Follow industry standard lift inspection processes and use standardized lift inspection documentation to ensure that every lift receives a consistently thorough inspection. Have signed the ALI Lift Inspector Certification Program Participant Code of Ethics . Are employees of firms that have signed the ALI Lift Inspector Certification Program Inspector Code of Ethics . Can apply serialized ALI Certified Lift Inspection Program labels to every lift they inspect. Labels provide code enforcement officials with instant proof of the last time a lift was professionally inspected. Each label includes the year of inspection and the individual inspector’s unique ID number. Are eligible for Associate Class Membership in ALI. Associate Class Members receive ongoing lift inspection training. Does OSHA require Automotive lift Inspections? The National Technology Transfer and Advancement Act, signed into law March 7, 1996, allows for government organizations including OSHA to apply nationally recognized standards such as ANSI/ALI ALOIM (current edition) to satisfy its safety mission by suggesting the use of such requirements to abate infractions cited under the existing OSHA regulations.